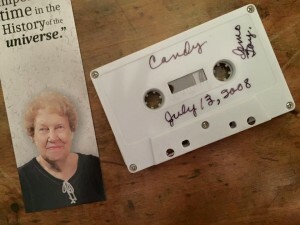 This entry was posted in Dolores Cannon, Quantum Healing Hypnosis Technique, Regression, reincarnation and tagged Candace Craw-Goldman, Dolores Cannon, in5d.com, QHHT, quantum healing hypnosis, regression. Bookmark the permalink. What an fascinating story! I’m looking forward to both the audio and your new show. Thanks for sharing your story and also for being “different”!! Thank you so much for sharing this very personal piece of your life. You are ever giving and that is one of the many gifts you bring to this Earth. Renee, what a sweet thing to say, thank you so much for stopping by and leaving that nice little note for me to find! Candace, you are for sure an out of the box thinker in this lifetime and I wonder how you manage to do so much – just like Dolores! I enjoyed every word of this story and will pass it on for the good it can do for others.